I somehow managed time to answer CEED 2016 question paper (exam 1). Hope you find this post useful. Surprisingly most of the questions covered UCEED syllabus like paragraph comprehension etc. So, like I usually suggest, you may consider practicing both CEED and UCEED previous papers and Mock tests. 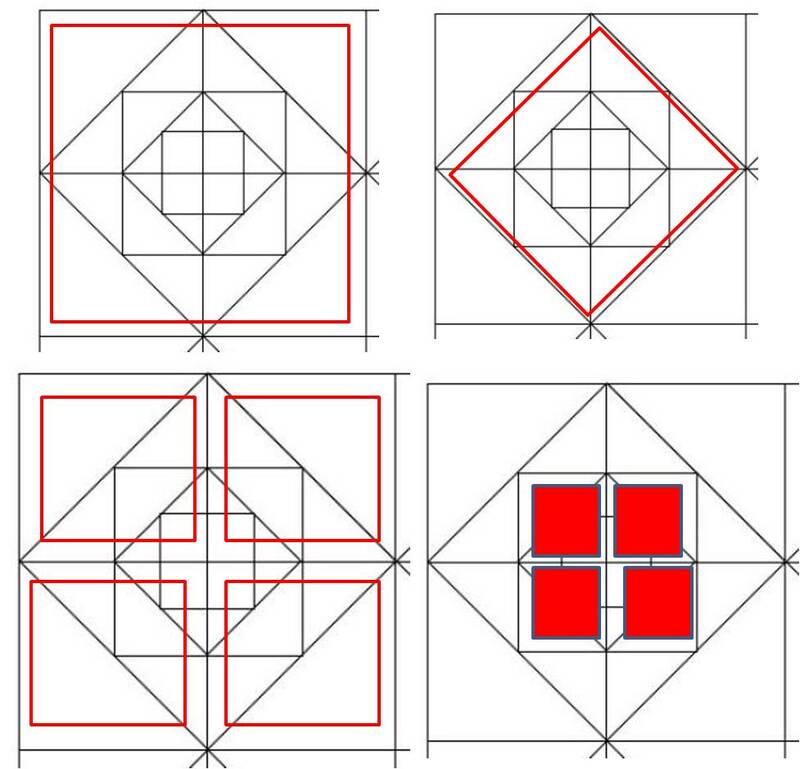 The following four figures illustrates in which I have inscribed boxes for your easy understanding. 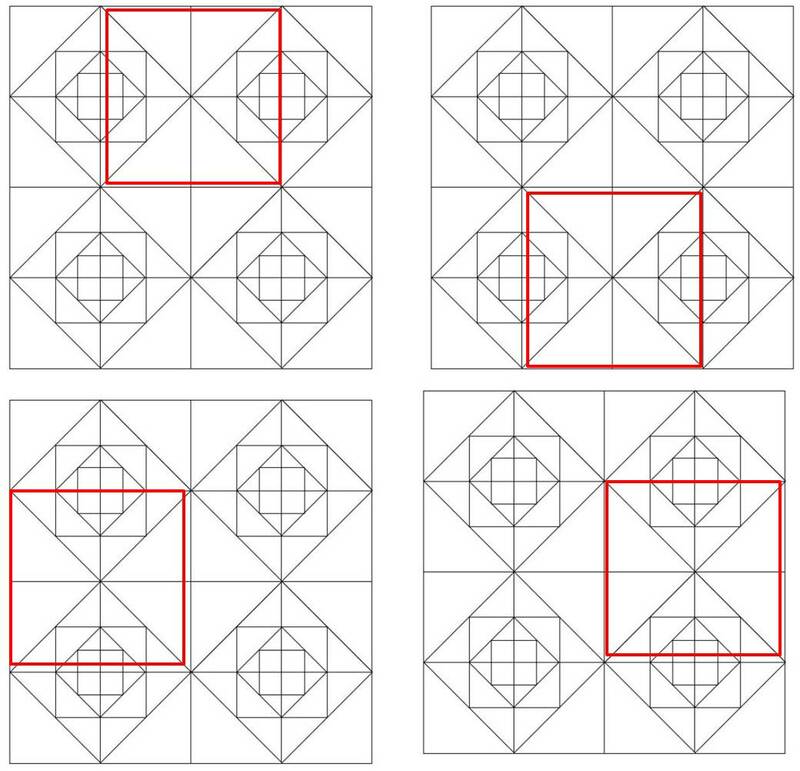 Note that in the first two pictures, I showed squares obtained in different orientations, for 1/4th of the square. So, we have to take four times of the count that we get from the first two images. 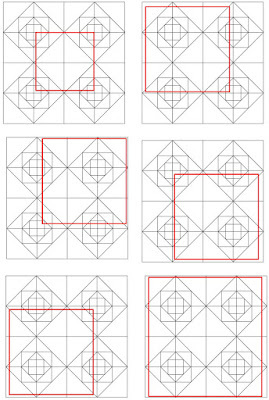 Third and fourth image considers the whole pattern given in the question, so we don't have to multiply by 4. 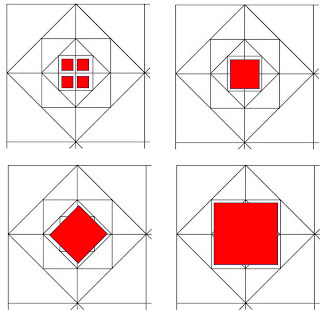 Considering the left most solid image as in the front. I'm giving the surface count like I do usually. 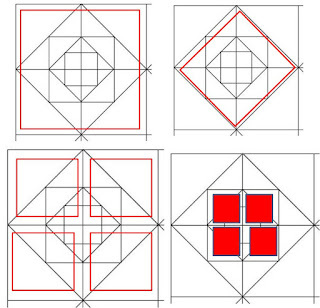 PC is the diagonal of a rectangle of size 2X4X4. 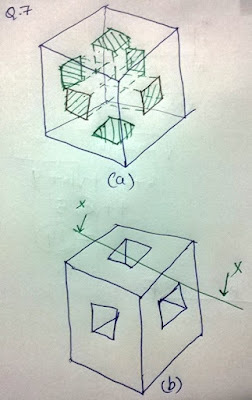 For those who are not familiar on how to find the diagonal of the solid. 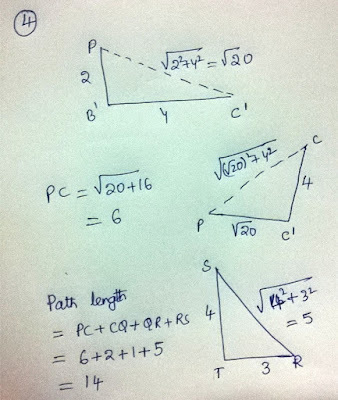 Here is a easy way which needs just the Pythagoras theorem. Consider the rectangular box base surface denoted by A'B'C'D'. Noe, a line joining P and C', will be diagonal (hypotenuse) to PB' and B'C'. Applying Pythagoras theorem, you get square root (20) as shown in the below image. 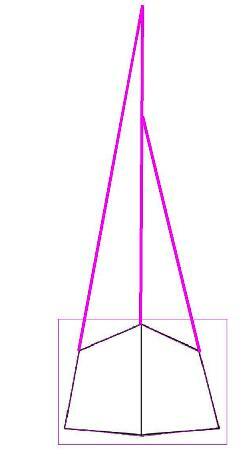 Now PC is the diagonal (hypotenuse) of sides PC' and CC'. 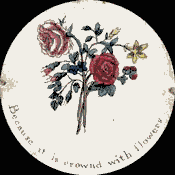 This is shown in in image. The length of which will be 6. Below picture (a) part shows what the question mea. They basically want to cut a tunnel at the center on all faces. Sorry for my poor illustration in the (a) image. Anyway image (b) gives you an idea of how it look once it is cut. Now the number of faces are counted as usual. 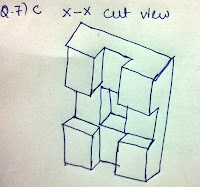 Below image shows the cross section (cut view at X-X) of inside part of the cube for your understanding as well as help you with the visualization. Please don't get confused by counting for the surfaces in the image C. Remember it's a cut section, not an actual section. In cut section you would visualize more no. of surfaces than the actual no. of surfaces in the real solid. There are several ways of solving this problem. Here is one simple way. 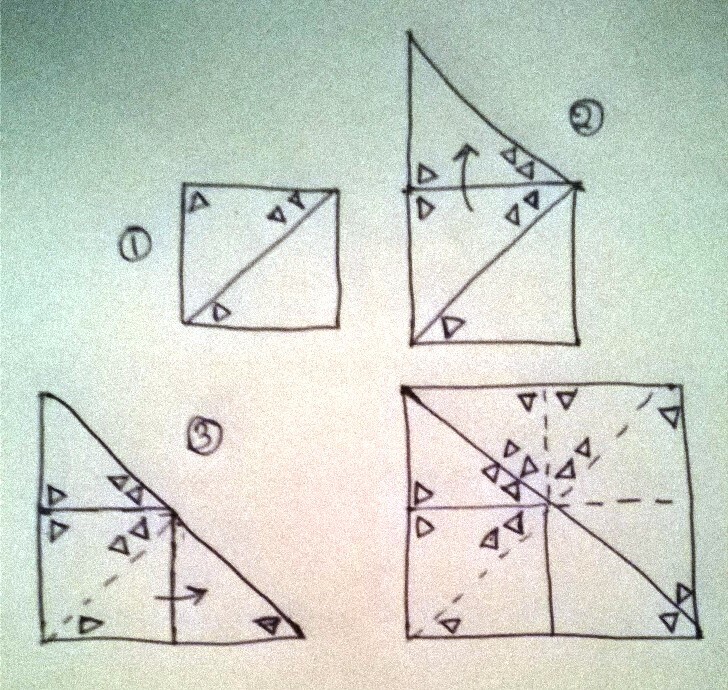 Below picture is added as a support for why triangles are enough to find the area. 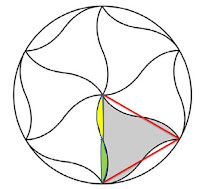 Shaded in yellow and green are the projections to be added and subtracted. They are of same area. So, if yellow area is getting added, then green (of same area is getting subtracted). The same is true for all the curves in the pattern. 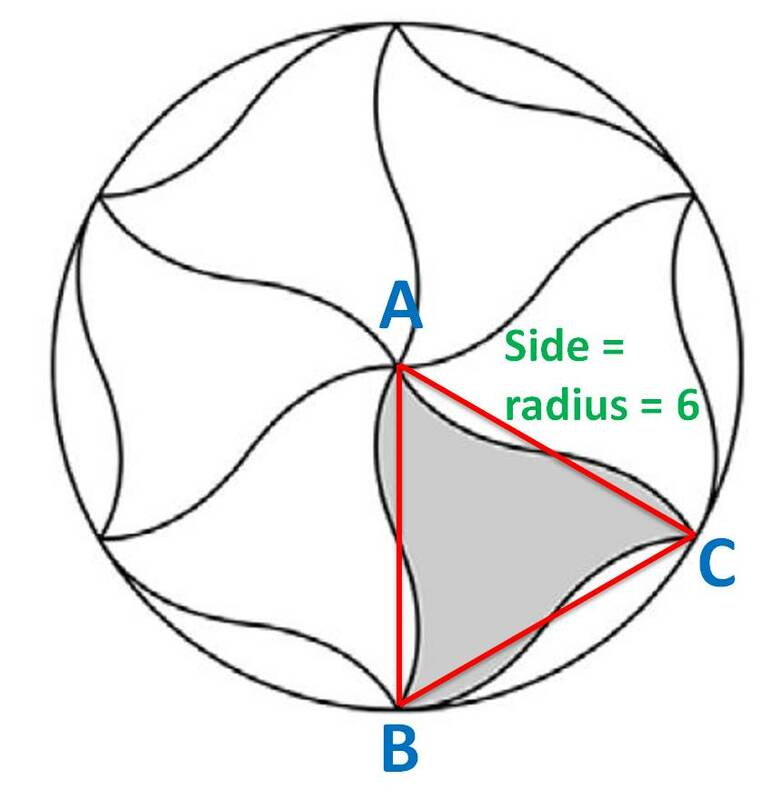 So, just a triangle of side = radius (which will form equilateral triangle of angle 60 degree at the center) will be sufficient to get the area. Hope you understood this. Below image shows the best arrangement as according to me. As can be seen, in the first row, lay four passport photos such that it's size are 3X4cm as shown in the picture below. So, in the first row we can put 4 no. of photos. Now in the remaining 3cm (4*4 = 16cm) out of 19cm, we can lay a photo such that it is now 4X3 cm as shown in the right of the image below. There is a bit confusion with this question. The actual possibility could be that we can fit 44 fishes in the given box. It's shown in the below image. The dimension 5.5 cm is misguiding. If its really 5.5cm till the fishes tail, then I believe in the second row, we can fit 4 fishes. With that shown, in the first row, we can fit 4 fishes in a depth of 3cm. 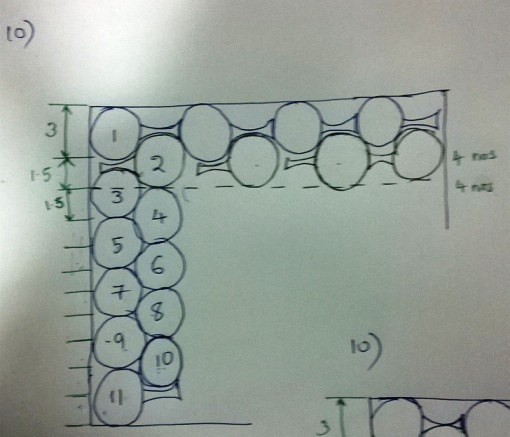 Now, in the second row, a depth of 1.5cm is sufficient to fit them as shown in the image. 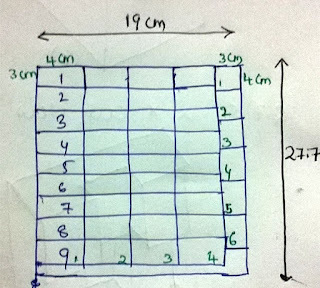 continue this for every depth of 1.5, until the total depth counts to 18.5cm, which will be 11 rows, so my belief is 44 no. of fishes. You may comment your views about the correct one. If you have time, you can draw it manually and check. Rigging is the apparatus through which the force of the wind is used to propel sailboats and sailing ships forward. This includes masts, yards, sails, and cordage. C is the picture drawn by peter paul rubens, which depicts the portrait of helene fourment. For this question, the best thing that I follow is instead of checking for best match, I look for best un-match from the options. I start with small parts and will try to fit. If not, then I will move next bigger parts. This is just my way of doing, you can follow your own way of fitting parts. Below picture shows the two possibilities for the given pattern. I've numbered the fitted parts for your benefit. First, let me discuss about the pattern followed by the white dot in the given sequence of images. Below image shows the pattern that I interpreted. 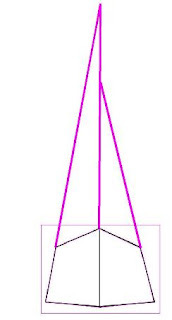 As marked in the image, length b and d are equal and are oriented in the same angle. C is the connecting length and so, lengths 'a' and 'e' should be equal. So, the small circle in the final pattern should be at the left bottom quarter of the circle as shown in the image. This question is pretty straight forward. 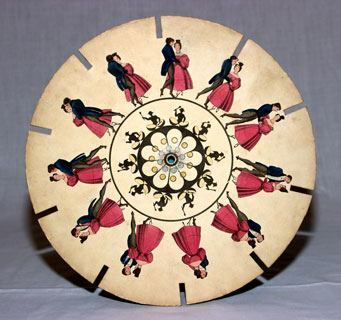 Symbols in the image that are individual are flipped upside down (mirror image) and is placed at the opposite side. 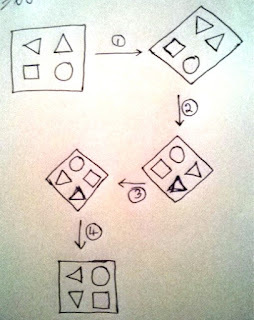 Like for ex, the symbol with circle and triangle stitched together, which is in bottom of the square is shifted to top in the transformed image and is flipped. Symbols that are horizontal and is side by side with another symbol is following diff. pattern transformation which is not required for our case. Since, the required question has all objects vertically separated. Please be careful with the option C and D. In option C, the dark heptagon shape is not flipped. 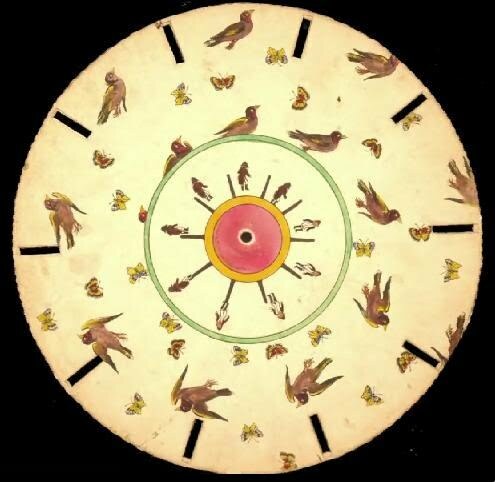 The phenakisticope was the first widespread animation device that created a fluent illusion of motion. Below images shows several images depicting phenakisticope. 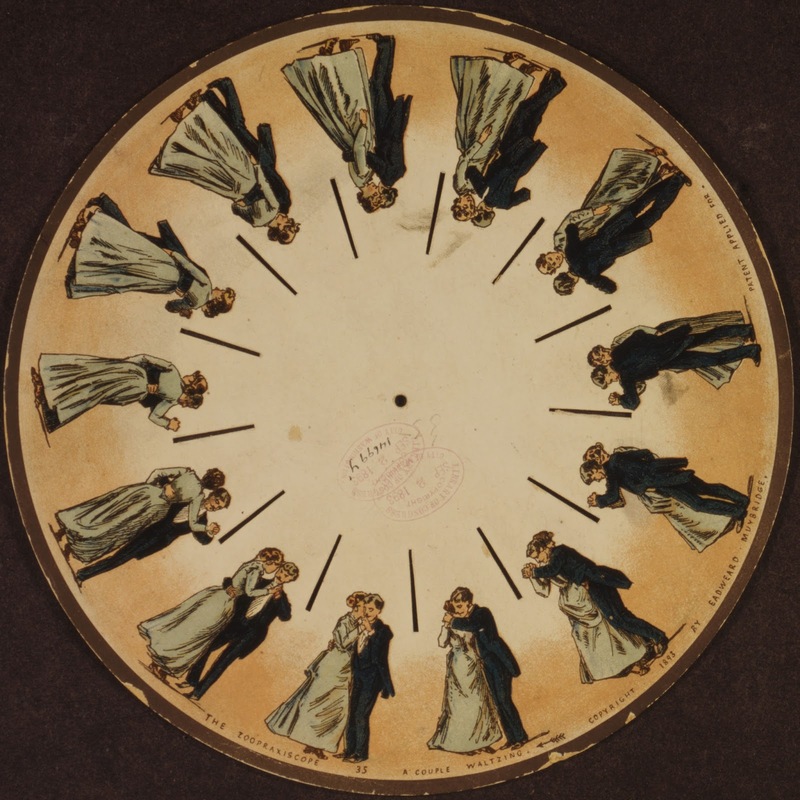 A zoetrope is one of several pre-film animation devices that produce the illusion of motion by displaying a sequence of drawings or photographs showing progressive phases of that motion. 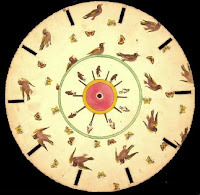 Below image shows an example. A Thaumatrope is an optical toy that was popular in the 19th century. A disk with a picture on each side is attached to two pieces of string. When the strings are twirled quickly between the fingers the two pictures appear to blend into one due to the persistence of vision. 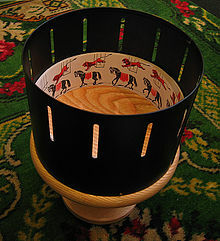 Below image shows an example. 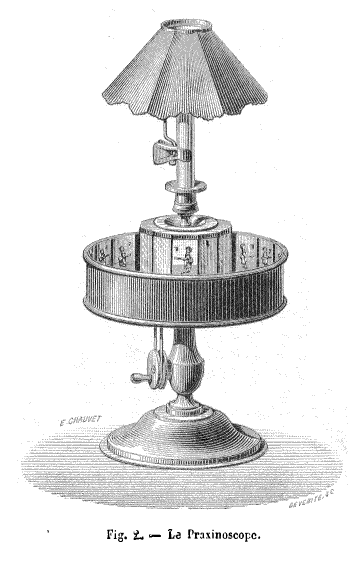 The praxinoscope was an animation device, the successor to the zoetrope. 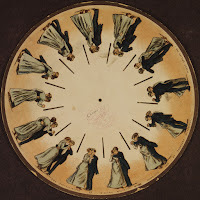 It used a strip of pictures placed around the inner surface of a spinning cylinder. Jiminy Cricket is the original trailer for Pinocchio, Created by Ward Kimball, is the Walt Diney version of The Talking Cricket. It's also a fictional character created by Carlo Collodi for his children's book The Adventures of Pinocchio, which Disney adapted into the animated film Pinocchio in 1940.
b. Find if the two horizontal vanishing points lie on the same horizontal line; referred as "Horizon line". The first check itself gave me negative result as seen in the below image. Points are not coinciding. So it's not in perspective. If it were coinciding, then we could say it's in 3-point perspective. This is a simple physics question. Higher density liquids will settle down, while the lower density liquid will be on top of that; if both the liquids are not mixing. In the given first flask, oil is ontop of water and is separated. So, water weight (density) is more.Now, when additional water from flask 2 is poured into flask 1, all the water will get settled down coz of their weight and the lighter oil willbe pushed up. Since, the flask shape is changing(tapered) and had less diameter at top, so the oil will occupy greater height than in the actual bottom position. Since the height of the table is half of the human view point, the bottom two table legs will not be visible to that extent. Also, since we are standing in front of the table, we observe the case of one point perspective with vanishing lines converging at the center. In option C, table top is flat and so it's not in proper perspective. 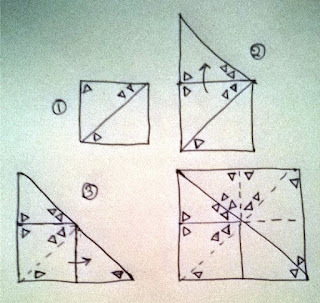 Option D, table top is not in proper perspective as the vanishing lines are extending out and is not converging at a point. As stated, the legs should be less visible and so, Option B should be correct. Star symbol at the bottom right corner is at the same location. So, we assume it remains in the same position. The inverted triangle at the center is also at the same position. So, we have to mind the three symbols left. 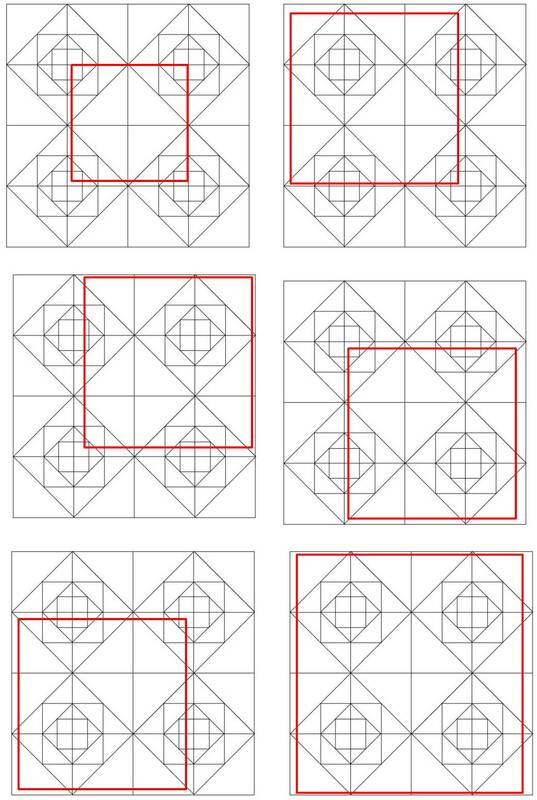 By observing the pattern, we can say that all the three symbols rotate in clockwise direction along the triangle shown in the image in every step/pattern. Following the clockwise pattern, we will get option B as the required pattern. 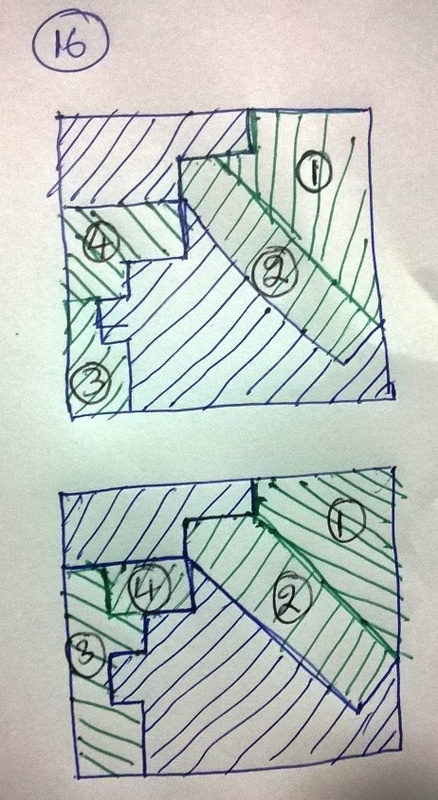 The simple procedure is to go in reverse direction from folding to unfolding as shown in the below image. But be careful with the marks indicated, they are just mirror reflection during each unfolding. Sequence diagram and Flow diagram are one of it's kind and depicts the flow of a process. I answered similar kind of question in last year solution. The solution is simple. Building 2 is 5,tr taller than building 1 and building 3 is 5 meter taller than building 2. So, building 2 is mid way from the top of building 1 and building 3. 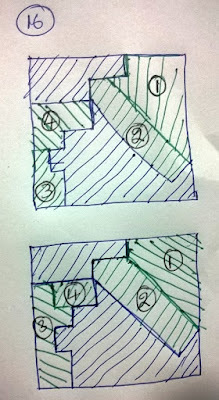 So, in the perspective view, it will be at the intersection of the diagonals as shown in the image below in blue color. Bhanu I could not find part b of ceed2016 anywhere. I haven't solved that. Probably maynot! For questions like 28 and 47, are we supposed to imagine those lines and then answer based on little approximation? 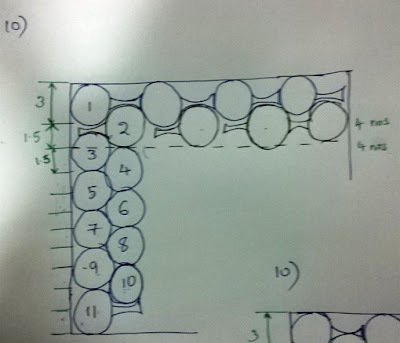 Because we can't draw on computer screens and copying it on paper and then decide is also approximation. So is there any effective way? Well I was thinking, if we can bring cotton thread with us to measure from screen? Would be fine? For explanation purpose, I've shown extension/construction lines, but yes like you doubted, it's tough to do that since it's an online test. It depends on our observation by vision. Just by looking at, we should be able to figure it out, and it will only be possible by practicing, Anyway one jugaad is using your pencils (as scales) or have scale/ruler, put it in monitor face to check for the match. Well you could also place the sheets from the scratch pad provided on the screen and use the edges of the paper to trace the lines. Hi, can you Please provide the Answer key to feb 14 CEED 2016 Part-A question paper. will try to give soon, until u can chk uceed papers too. Well I've solved this paper earlier and so didn't read all the answers at first, but Just now I realized you're having confusion in question no.10. So let me solve it for you. If you'll observe the design of fish closely, you'll realize that when we draw a vertical line at the tail of fish A, it'll slightly cut the head of fishes C and D (also B but it's obvious). So that results in only 3 complete fishes in 2nd row( hence 5*3=15). Hope, others will find it useful too. 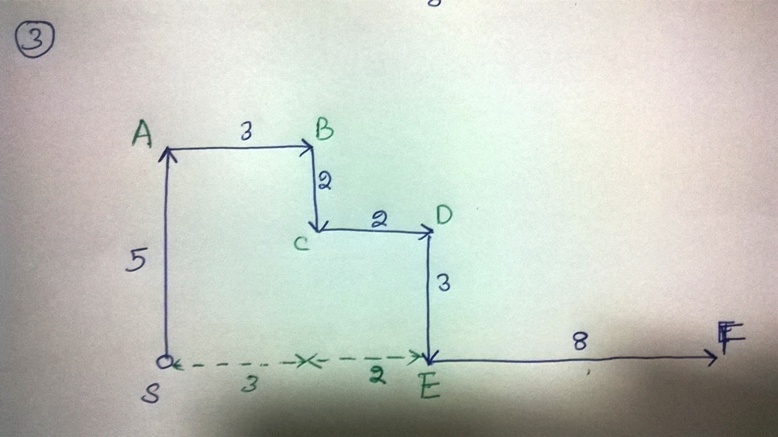 Ankur as A,B,C,D,E,F gets slightly beyond the line in the same way 1,5,9,13,17,21 will move away to left as well, right? Sir, where will i get theory related to Q.43? 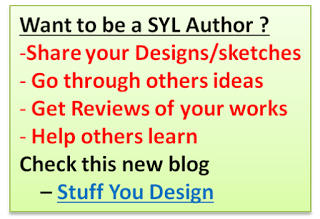 If you could give some link, it would be really helpful. 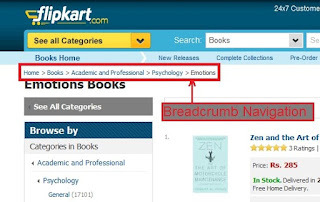 those theory are related to web design. Any basic web design source on internet would give you an idea. I'm not able to get your question ! Bhanu sir, please solve the second CEED 2016 paper which was held in January. hmm yes, I just chked that, thnks for correcting Amit. hi, all the links r visible in my PC, I just checked, reload ur browser, or update ur browser flash or try in new browser like mozilla to chk if problem persists. sir in Q7, why hasnt it 2 front view faces?, cut part is in another surface, so why shouldnt it be total 36? hello sir, can u pls guide us for interaction design part? How to show graphical interface of the digital device with sketches and interaction flow? Similar question was asked in 14th feb 2016 ceed paper. Should the answer to Q.37 be (c) ? In the Chennai region paper 2016.Please tell me how to solve Q8. I am unable to attach the picture of the question so if you type in the question in google search you will find the full question there . Shown below on the left are two wooden pieces joined together. 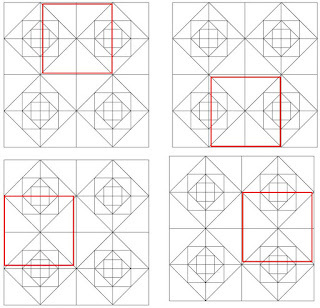 The joint wooden block is cut at two places AA and BB at 45 degree angles respectively as shown in the enlarged figure on the right. 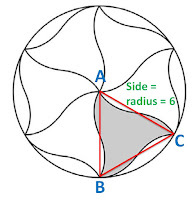 Calculate the area shaded in black. Give your answer in square cm. Can you please explain question number 5? I think the answer for Q no. 5 is 23; not 22, can you please check again and let me know? 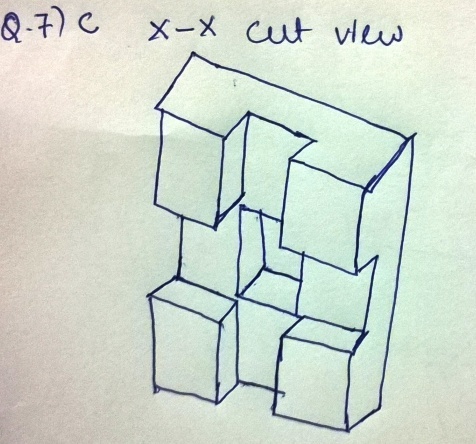 cut portion shouldn't be considered, that's only for explanation I've drawn and only the main solid has to be counted. 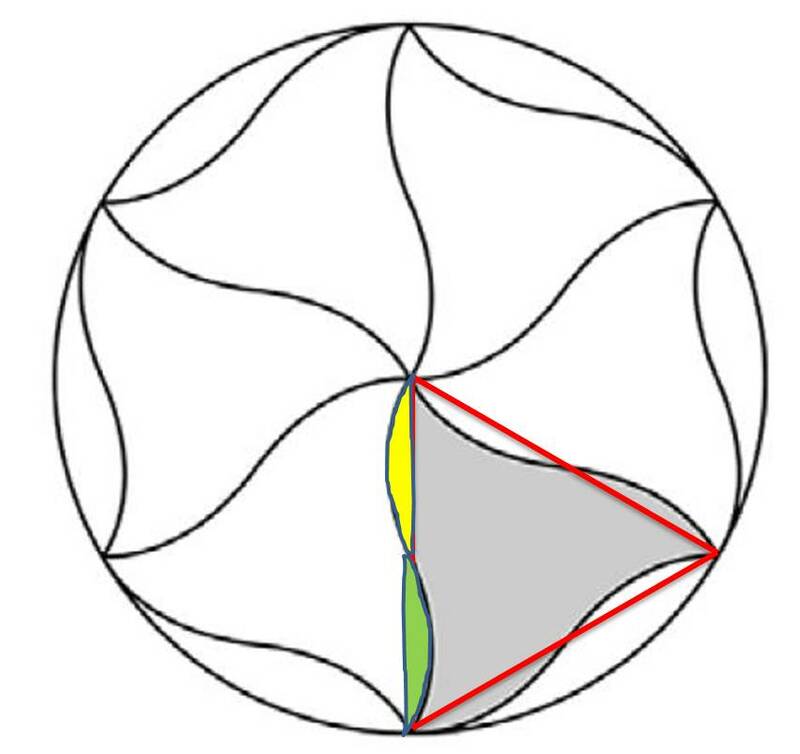 The cut par tshows how the cross section looks like and why we considered 5 surfaces in each direction - in others just for explanation! Hello sir, i wanted to know whether there will be solved 2017 ceed qp available anytime soon? 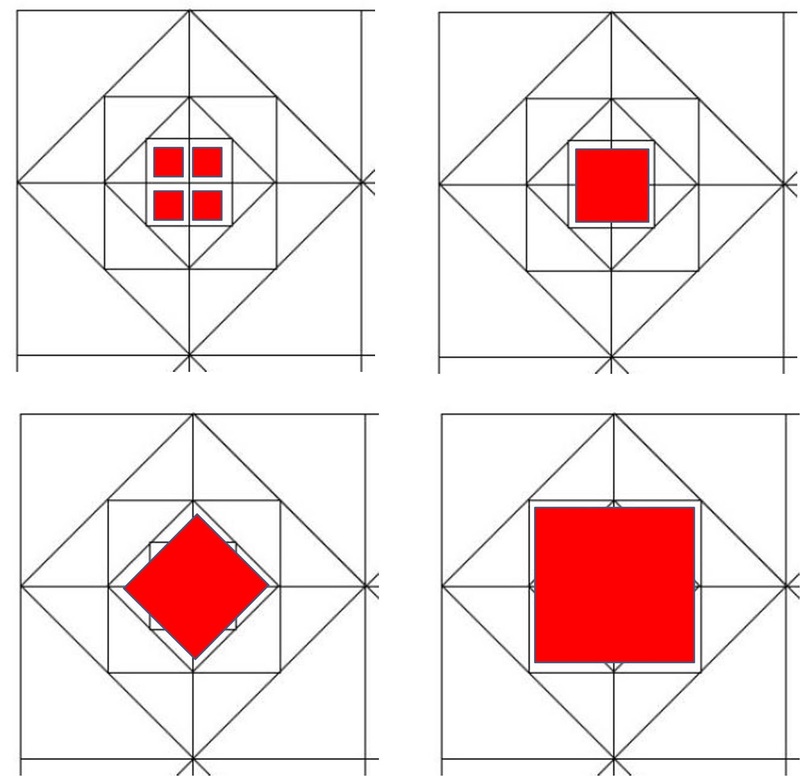 I think answer for Q2 is 78, you have already considered the whole image a square in image 3, again you have added 1 at the end which was not necessary I think. Thank you very much for taking time to solve this question paper, sir, it is indeed very helpful. I have a small suggestion though, for question number 28,it is given in the question itself that it is orthographic projection. Therefore it doesn't have any perspective by default. It is just a front view side view or back view of the object. Even if the lines was to coincide, an orthographic projection is never in perspective, because perspective causes fore shortening.. I wish ur suggestion would reach the examiners, who gave that ques. They, by mistake, mentioned that as orthographic. Nonetheless, looking at the image, it indeed is in perspective and what u r supposed to identify is the nature of perspective. That's it! What do you think is a good score in the above paper? Hello sir i need the CEED 2016 qp2 answer key and there are two different exam In 2016 which are conducted in same year,can u tell me sir what was happened that two exam were be conducted???? Hello, regarding Q12, while I agree that rigging is not used in traditional cel animation, but rigging is a term used in 3D animation process in which the 3D model mesh is bound with a digital skeleton for the process of character animation. 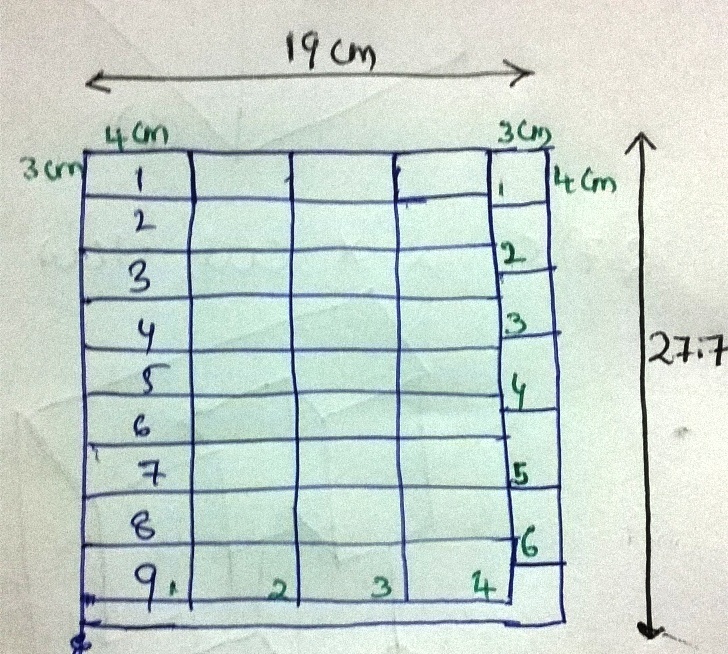 bhanu sir, in Q2 i felt like you already counted the whole image as a square itself in fig(c), so i felt like not to add 1 more square in net calculation. if not please explain me. u can refer to the official answer key released by ceed/IITB. This is a post to tell how to solve the questions. I have a doubt in question number 6? good to see ur comment after a long time. Hope u r preparing at ur best. Reg ur solution, let me try to explain again. (Refer to the image in the Q paper) You've considered both the box surfaces (AA'BB' and BB'CC') as a flat surface, which is not correct. They are at 90 degrees to each other. Visualize this in 3D instead of 2D. SR is the hypotenuse of ST and TR, I think this is clear.